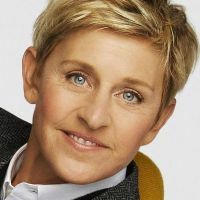 TV star Ellen DeGeneres will come to Montreal on March 1st, 2019, for a Q&A session with a moderator. The event will take place at the Bell Centre. In the fall of 2018, Ellen DeGeneres scheduled a few comedy shows in various US cities. She even released a Netflix Special titled Relatable, available on the streaming platform since last December. The star of The Ellen DeGeneres show doesn't come to Quebec that often, so don't miss your chance to see her live !